Remember Evita, Andrew Lloyd Webber’s 70s bio-musical about the beloved Argentine political icon Eva Perón? Cinema-tized with Madonna in the 90s? No? Well, it did tend to linger on the relatively dull early section of Perón’s story: the part where she’s alive. It turns out that when Perón traded cancer for immortality at the martyrdom-enabling age of 33, her role in steering her country’s future was just beginning. Bruce Sprinsteen at Verzion Center, Monday, May 18, 2009. Photo by Kyle Gustafson. Better: Read this review on DCist, where you can enjoy the rest of the great Kyle “Information Leafblower” Gustafson’s fabulous concert photos. Bruce Springsteen is still Working on a Theme. This town is full of losers. Let’s you and me pull out of here to win! Sasha Fierce, keep your distance. “Y’all know where Beyonce is?” demanded Etta James at the Birchmere Saturday night. 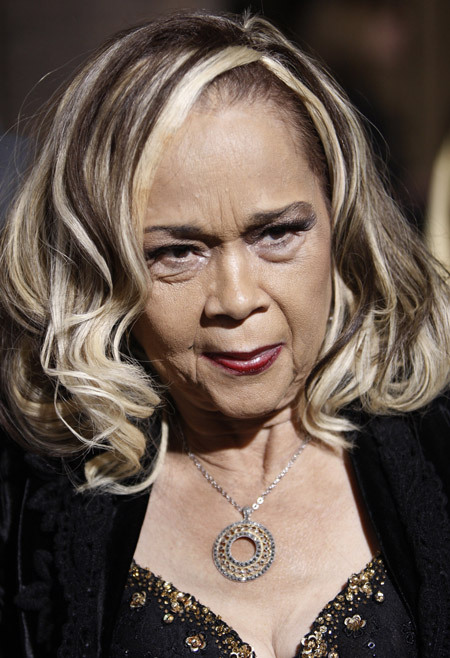 The septugenarian sexpot is still cranky that the 27-year-old one-namer who portrayed her in the film “Cadillac Records” got to sing “At Last” for the President and the First Lady back in January.